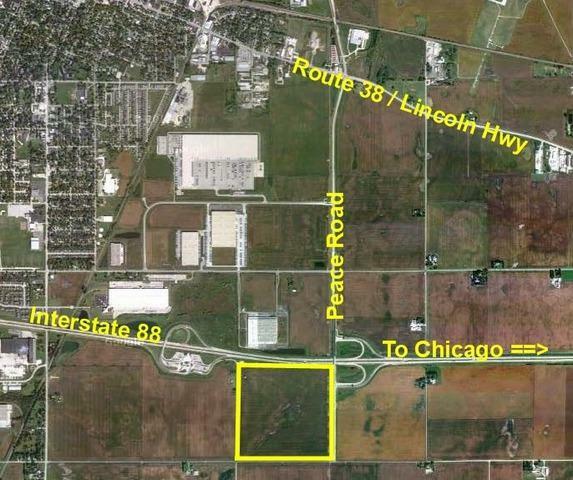 160 acre parcel located on the SWC of I-88 and Peace Road. Property is adjacent to the on ramp for I-88. This is a full interchange. Land is leased for 2012 crops. No buildings. Property is bordered by I-88, Peace Road, Gurler Road, and Crego Road.